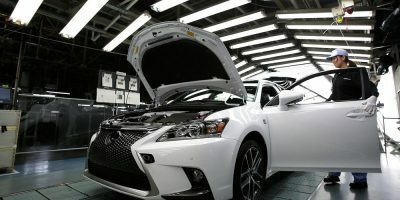 Lexus will be suspending production on all assembly lines in Japan for six days later this month due to a steel shortage. I hope for the safety of all those that could have been affected with the explosion at the plant. Also like hearing Lexus won't just go out and find someone else for that week and will wait it out. Thinking about product not profit. IS-SV and RAL like this. I still remember how hard it was to get a Matador Red Mica car after the tsunami. That was the year I bought the UBM F Sport.